Home : Why a Blog? You would think after having two years experience (that’s 730 days) of watching my child grow and develop, I would have come to terms with him inevitably getting older. I have not. I have made strides in the right direction (acceptance), but my heart still aches a bit with each inch and milestone he conquers. 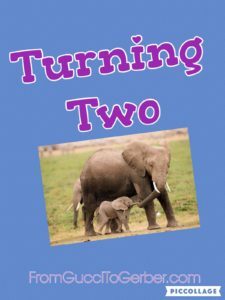 O’s second birthday is approaching, and if I let myself breathe that all in, it could seriously knock the wind out of me. My husband has been asking me what’s wrong with me lately. He can tell something is “off.” I keep saying it’s my stomach. I just don’t feel right. Well, when something is bothering me, that’s where the stress goes. Right to my gut. I’ve not been purposely lying to him. I actually didn’t realize the correlation until I started writing this post. But that’s what’s “got” me. My baby is growing up and there is no way to stop the clock. That’s not to say that I want to actually stop the clock. Of course not. I want to see him grow and thrive and become the man he is meant to be. It’s just the pangs of loss that hit me occasionally. Sometimes gently and sometimes like a smack across the face. Like now, as this 2 year marker approaches. I understand how precious this whole process is. The act of raising, caring for, and unconditionally loving this being that was created with such love. It is awesome and truly the best thing I have ever done in my life. And it’s all flying by so quickly. I believe this is one of the big reasons why people have more children. The feeling is so wonderful, at times, euphoric. Of course you want to make it last. So you have another. And maybe another. Unless you can’t. Unless it maybe just isn’t in the cards. Ah, and there it is. The crux of the matter. I didn’t really think about O’s birthday coinciding with the end of our “have another baby” project. But the months have passed and with each one came a reminder that I’m not going to have another child. I promised I wouldn’t be upset. I promised. But as I sit here wiping away my tears, I’m finding my promise is proving to be empty, however well intentioned. I won’t let myself spiral into a dark place over it, however. I have far far too much to be thankful for to let that happen. But I think my not allowing sadness over it was a mistake. That’s a ridiculous notion, really. Not allowing sadness? It’s just silly. As if my heart has a choice. Ha. So I’ll go on, filling my my mind and days with work and projects. I’ll spin more plates than usual, no doubt. But I will be aware of my particular sadness and honor it. And I suppose, if I need to cry, well then, I’ll cry. At least I won’t be denying my feelings. If you read my blog, you know that I believe everything happens the way it is supposed to. And I don’t believe in regrets. I believe in lessons. But this advanced maternal age mommy wishes perhaps she didn’t wait quite so long to have a child. Maybe there would have been time for another? A tough lesson to swallow in hindsight. But then, perhaps another child was never in the cards. You can really think it to death. Who really has time for that? So as my little O gets ready to turn two, we will celebrate his time so far on this earth and the immense joy he brings us….with a Sesame Street theme, no less. We are having a combined birthday with his second cousin, Nora, who was born two days after him. Lots of Elmo and Abby Caddaby! Alphabet cookies, crayons and Cookie Monster fudge! I’ll take lots of pics for a fun party blog. And I won’t forget for a moment all that I have. 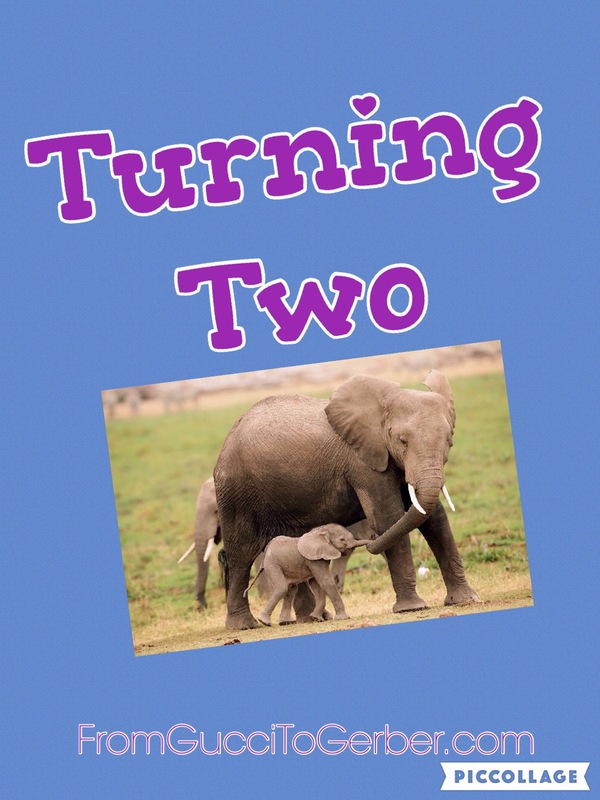 This entry was posted in Conception at 45?, Trials and Triumphs and tagged advanced maternal age, birthday, conception, Gratitude, growing, mommy, mommy blog, only child, second birthday, toddler. There are certain days my patience runs thin. My son is approaching his second birthday. He is in the beginning of the throws of what I am calling toddler madness. This might prove to be the hardest period for us, as his communication skills are still sparse. He says words, yes. But his ability to actually convey specific wants is unhoned, especially the more frustrated he gets. My failure to understand him just adds to his frustration and before I know it, he is in full on the floor tantrum mode. There is no reason or logic to this. It is absolute madness. Hence, my categorical name for this period we are forging into full speed ahead. Rationally, I know there is usually some reason for these outbursts. He most likely isn’t even aware himself what it might be. And the speculation is vast. It could be that he is hungry. Thirsty. Perhaps his two year molars are giving him a hard time that day. Maybe his shirt is uncomfortable. Maybe….the list goes on. Or, where the real madness comes in, the outburst has no cause. It is not the reaction to anything at all, except the moment hits him and he decides to throw himself on the floor, kick and scream a little, and then, perhaps, get on with his day. Come to think of it…I feel like doing that sometimes. Maybe it’s not so crazy, after all. Hmm. My pediatrician suggests no parental reaction. She always says, “Don’t encourage any behavior you don’t like by reacting to it.” I’m actually pretty good at being calm in the midst of his storms. Most of the time. It’s the days when the outbursts are mixed with incessant whining, that tax me the most. It’s hard not to react to the whining, though I give it my best shot. At home, I actually walk into another room. I also redirect his attention when he is calm enough. It becomes the hardest to deal with in the car. Both of us trapped in a small space. I can only turn the Hamilton soundtrack up so much. Mothers who’ve been there…mommys on the same battlefield, I ask you. What do YOU do? And if you had a child who never threw tantrums or whined, keep it to yourself. I don’t even want to know that children like that exist. There isn’t enough Skinny Pop or Two Buck Chuck to get me over that. Thanks. I know every kid is different, but there must be some common thread for how to proactively deal with this “stage of development.” My saving grace at this point is that I am, in fact, an older mom and I have a degree of patience I never would have had 20 years ago. I’m not saying younger Moms can’t have patience. I just know I didn’t have it when I was younger. 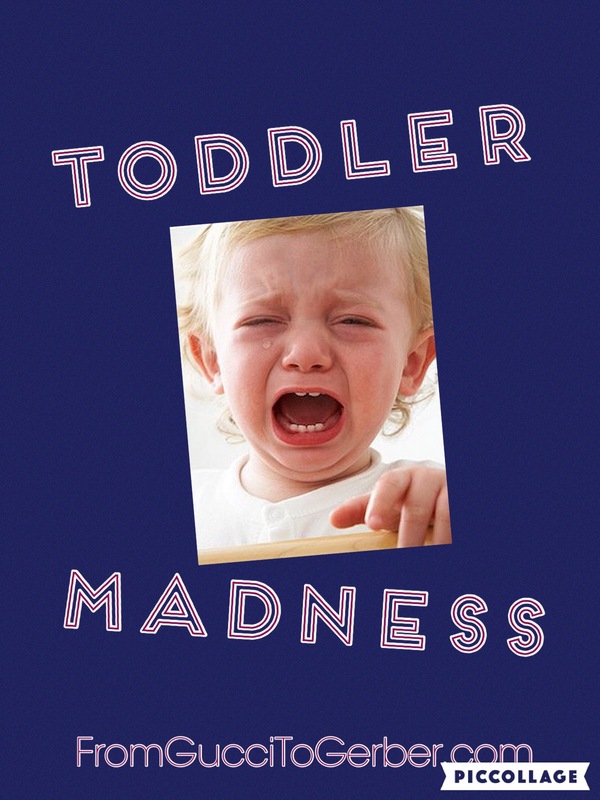 The most ironic thing about this stage of “toddler madness,” is how fleeting the madness can be. I can have a morning like today, where the crabby-ness, whining and foot stomping outbursts seemed to have such succession it almost became rhythmic. And then 20 minutes before his nap, my child decides to lovingly stop time. He sits next to me on the couch, lays his head on my shoulder and lets me stroke his hair. For a whole 20 minutes! He may have actually purred. Just when I was ready to give up for the day, he indulges me in his sweet side. Sneaky. Unpredictable. All part of the glorious wonderful madness that is only just beginning. 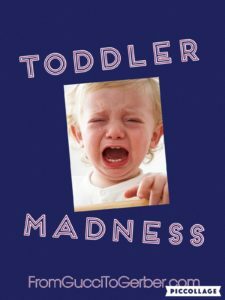 This entry was posted in Day to Day Survival, Trials and Triumphs and tagged mom, mommy blog, motherhood, older mom, outburst, parenting, patience, tantrums, terrible twos, toddler. I’ve never been one for holidays created by greeting card companies. Valentine’s Day is the worst. My husband and I have vowed to never make a big deal of such a day. We believe all our days should be reflective of our love and commitment, and not for one set day because Hallmark dictates it. I know Mother’s Day falls under the same sort of quasi-holiday category, but I have to admit, I feel a bit different about it. To give it equal due, I feel different about Father’s Day, too. So hear me out. I am not looking for what the advertisers or the media suggest I want. There is no bauble, gadget, or knick knack I am longing for. I don’t want all sorts of money spent on me. I don’t want a day at the spa or a day all to myself to be pampered. I don’t want a weekend away, a maid service to clean the whole house, or some cheesy overpriced greeting card written by some stranger. It’s so much simpler than that. What I would like to celebrate and have acknowledged, is the fact that I try every single day not to ruin the amazing child that by some natural miracle ended up in my care. I’d like a Mother’s Day. What is that you ask? Well, hold onto your yoga pants. It’s a day where I can sleep uninterrupted for 8+ hours (without having to go to bed at 8pm the night before). I can take a long luxurious bath instead of a quick shower. I would be able to have a bowel movement…all by myself….in peace…uninterupted. Without Thomas the Tank Engine. Or whilst reading The Little Engine That Could. It’s a day that for a whole 24 hours I am NOT the person who touches or cleans up another person’s feces. (To be fair to my husband, he takes on the dirty diapers like a champ when he’s around.) And, most importantly, it’s a day that my husband showers me with words of encouragement and love from his heart. Oh, and he makes me breakfast, lunch and dinner. Now these last two requests actually happen on a regular basis in our home, but they are such a nice part of our day that it only makes sense to include them. Now I realize that as simple as this day seems in theory, the actual execution of these requests may prove more than difficult. (Lucky for me, my husband is a rock star!) But, perhaps it might seem impossible for some mates. Hence, the bauble or some fancy high priced item. The mate thinks, “how can she be upset with me if I give her _______?” And she won’t be. I mean who gets mad at jewelry or a Coach bag? The retailers are surely happy. Hubby is happy because he dodged a mega parenting bullet. But most likely, it isn’t what she truly wants on this day. If she is anything like me, it most certainly is not. So Hallmark, Zales, Pandora and all you other retailers and tall tale fabricators….you aren’t on my radar. I could care less about what you have to offer. I don’t know that any woman who stays home everyday with her toddler really wants what you are peddling. As I looked around the library today at story time, I saw the faces of other mothers that seemed to need what I am in need of. We all most likely just want to remember who we actually are. To have a moment to acknowledge our own worth unattached to the non stop job of caregiving. To have a few moments to think of/and for ourselves, all the while knowing that our most precious possession is being cared for by our most precious partner. It’s that simple. Until next time, keep fighting the good fight. And remember, behind every great kid is a mom who is pretty sure she is screwing it up. Hope you get to have a rockin Mother’s Day. Xo thanks for reading! 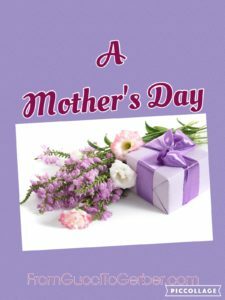 This entry was posted in Day to Day Survival, Trials and Triumphs and tagged Gift idea, husband, identity, mommy, Mother's Day, mother's day gift, motherhood, parenting, partner, toddler.